Spoilt is a Sydney based mobile pamper party business that gives your little ladies a perfect day spa experience in your own home. With the options of foot spas, massaging neck pillows, all natural chocolate facials with cool cucumbers, polished nails and make up, the girls will feel relaxed and pretty. There are plenty of games, prizes, music and fun to be had by all guests. 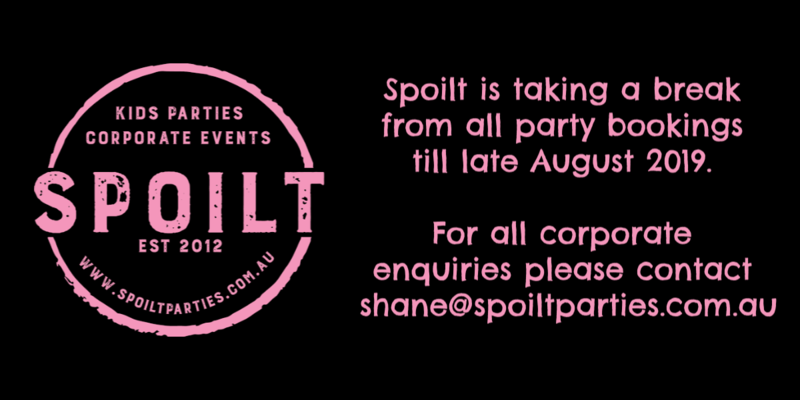 Spoilt Parties have different packages to suit your budget and needs. Bath robes, headbands and feather boas are all supplied so you can just sit back and watch the girls enjoy their experience. There are plenty of fun extra’s on offer such as gorgeous birthday cake’s, beauty bags or even a hummer ride. A Spoilt party will keep the girls talking for months and a very memorable experience with their friends will be created. As a Mother of two, one being an 10 year old girl, I know how tough it can be to find a unique party for your princess. Head over to the feedback page to hear some great reviews from some of the extremely happy Mum’s who have booked a Spoilt Party. A Spoilt Party is not limited to just birthdays, you can hold a party for your netball team’s end of season get together, for a Year 6 Graduation party or even for some School Holiday Fun ! You have already been PAMPERED, now it’s time to PARTY !! We come to your house and provide everything you need to create the ultimate disco party for you and your friends. We bring the lights, the music, the glow in the dark accessories and the FUN. All you need to provide is some room for our Party Marquee and some PARTY people ready to sing and dance.